Energy operation can be characterized by its complex network system composed of energy generation, energy transformation, energy transportation, and energy consumption. The network has provided the great flexibility for energy transformation and transportation; meanwhile, it presents a complex task for conducting agile energy dispatching when extreme events have caused local energy shortages that need to timely be restored. One of the useful methodologies to solve such a problem is soft computing, which conducts collaboration, association, and complementariness of the different techniques that integrates them. The applications and developments of soft computing have amazingly evolved in the last two decades. Many of these applications can be found in the field of renewable energy and energy efficiency where soft computing techniques are showing a great potential to solve the problems that arise in this area. In this chapter, several soft computing techniques are briefly introduced. Then the methodology framework and implementation procedures are presented to demonstrate the application of artificial neural networks and curve fitting for renewable energy network design and optimization, which has the capability to handle restoration during extreme and emergency situations with uncertain parameters. 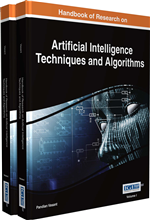 Artificial Intelligence: Artificial intelligence (AI) is the human-like intelligence exhibited by machines or software. Artificial Neural Networks: They are computational models inspired by animals' central nervous systems (in particular the brain) that are capable of machine learning and pattern recognition. Optimization: In mathematics, computer science, or management science, mathematical optimization (alternatively, optimization or mathematical programming) is the selection of a best element (with regard to some criteria) from some set of available alternatives. Soft Computing: It is a term applied to a field within computer science which is characterized by the use of inexact solutions to computationally hard tasks such as the solution of NP-complete problems, for which there is no known algorithm that can compute an exact solution in polynomial time. Fuzzy Logic: It is a form of many-valued logic which deals with reasoning that is approximate rather than fixed and exact. Renewable Energy: Renewable energy is generally defined as energy that comes from resources which are naturally replenished on a human timescale such as sunlight, wind, rain, tides, waves and geothermal heat. Energy: In physics, energy is a property of objects, transferable among them via fundamental interactions, which can be converted in form but not created or destroyed.